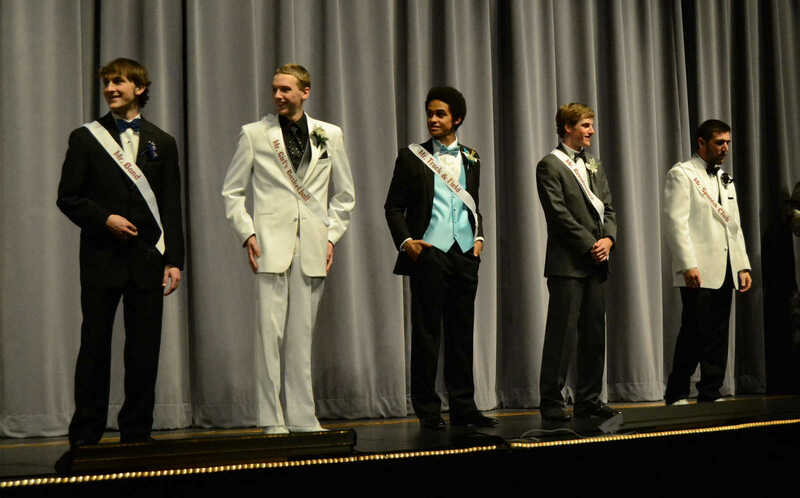 The top five finalists, from left, Nick Geeding, Connor Harbit, Justin Marley, Easton Mitchell and Alex Payne, line the stage during the Male Handsome Pageant on Friday. 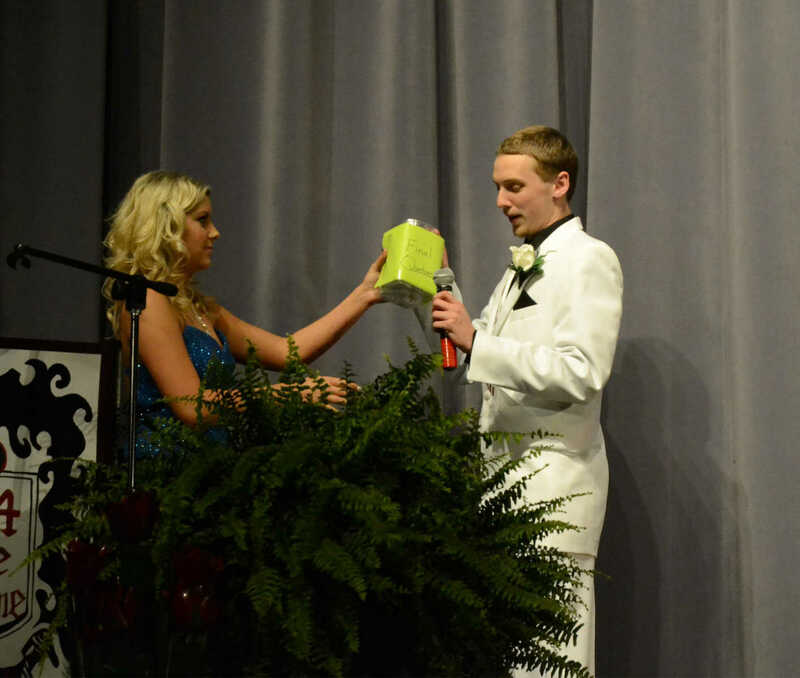 Nick Geeding draws a question during the Male Handsome Pageant on Friday. Maddi Gordon and Marli Coonrod emceed the evening. 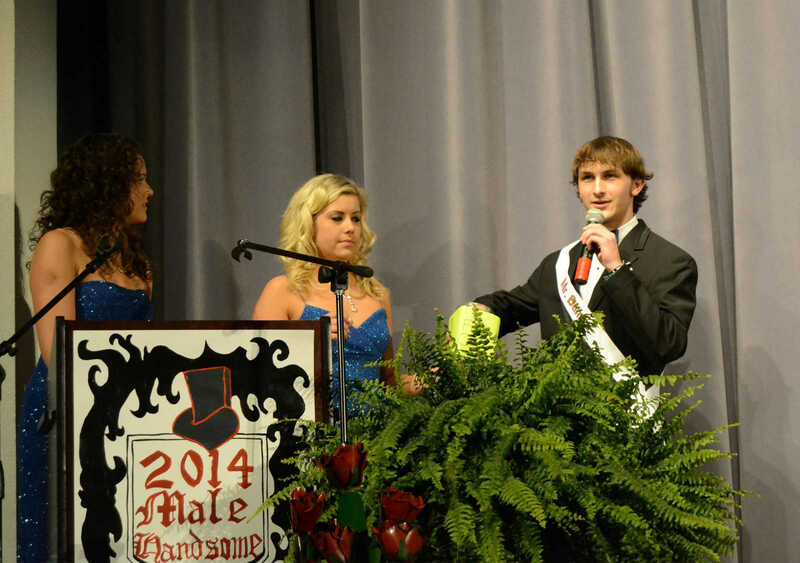 Connor Harbit draws a question during the Male Handsome Pageant on Friday. Marli Coonrod emceed the evening. 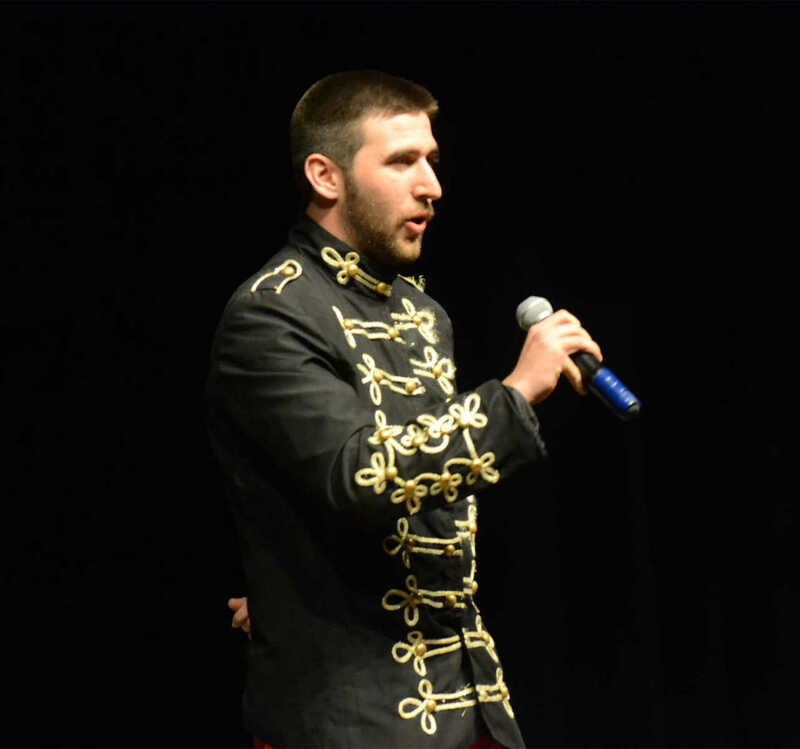 Alex Payne sings a duet during the Male Handsome Pageant on Friday. 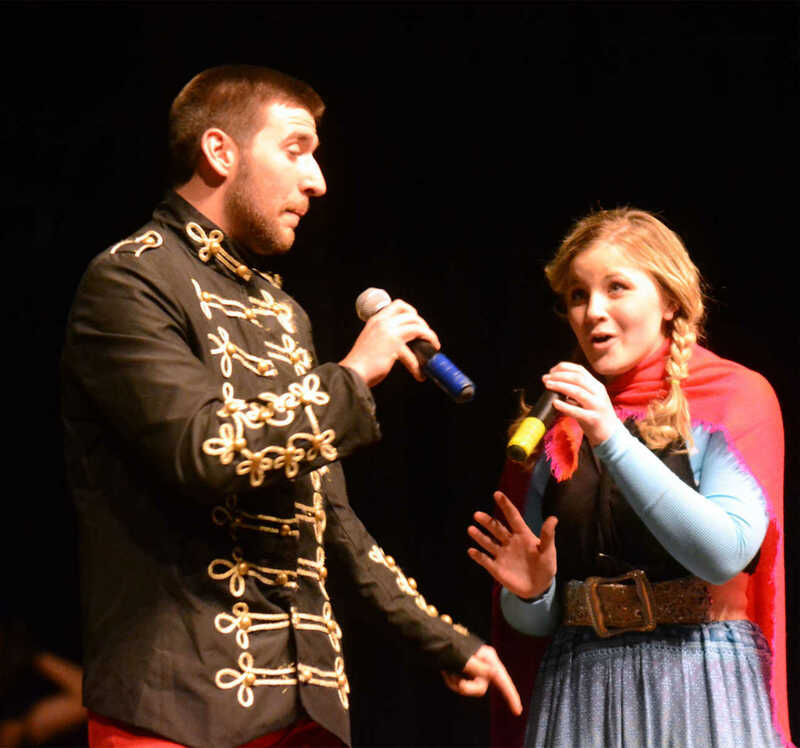 Alex Payne sings a duet with Mikayla Bartlett during the Male Handsome Pageant on Friday.